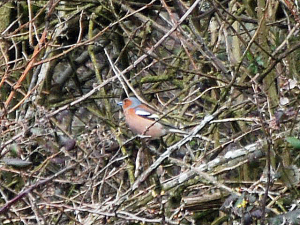 Observation - Chaffinch at Cissbury Ring, West Sussex - UK and Ireland. Description: Well camouflaged but very pretty when spotted. Well camouflaged but very pretty when spotted.